Protect your intellectual property from illegal copying, duplication and redistribution! Media Supply provides USB copy protection with digital rights management for data loaded to USB flash drives. 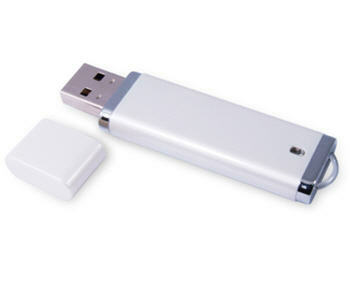 Protect your software by linking it to a serialized USB Flash Drive device. Find out more by calling 800-944-4237. Do you need to protect your intellectual property which is distributed via USB flash drives? Are you looking to protect your software from being duplicated and used without your knowledge? 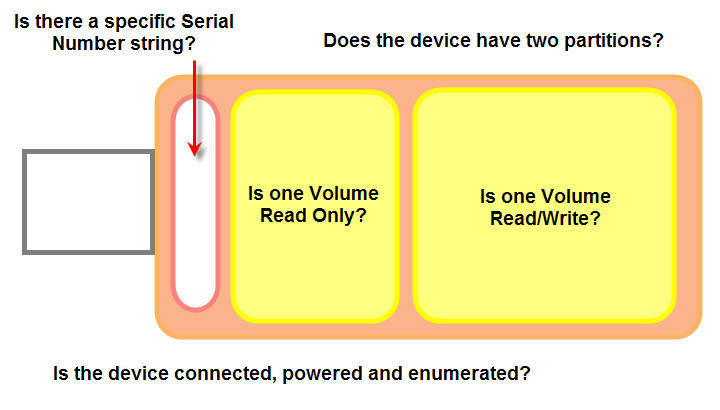 Do you need a tracking mechanism for USB devices distributed into the field? Your USB Flash Drive can be customized with a 20 digit serial number, of which the first 8 alphanumeric characters are static (ie. COMPANY1). This serial number is hardcoded to your USB Flash Drive and cannot be modified by the end user. If the serial number of the USB drive is not recognized by USBKey, the software will not authenticate or launch. USB Serialization and Authentication is only supported on the specific drive models, so call us to confirm we can serialize the USB Flash Drive you want. 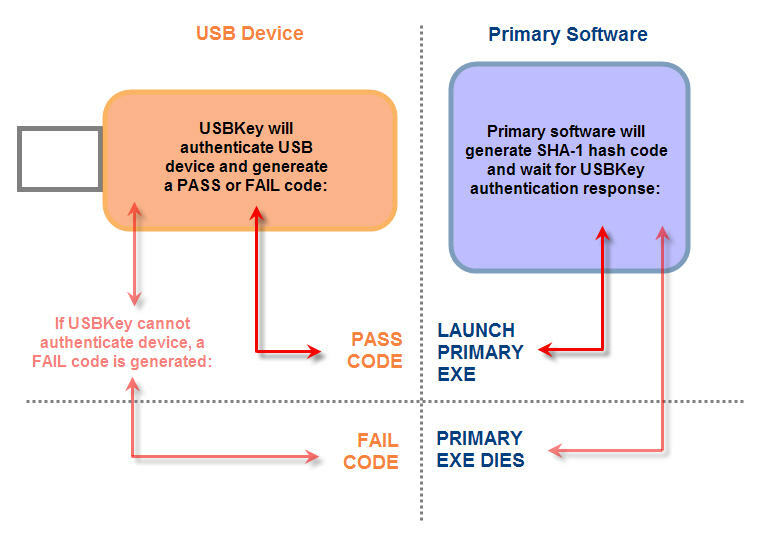 If you need help with the programming tying the unique serial number to your USB flash device, we offer USBKey Software Authentication services. The USBKey utility will link your software to a hard coded serial number embedded on the USB flash drive. The USBKey looks for this hard coded serial number plus other unique attributes of the drive before authenticating the launch of your software. Now, you can be assured only the user with authorized media will be able to run your software. 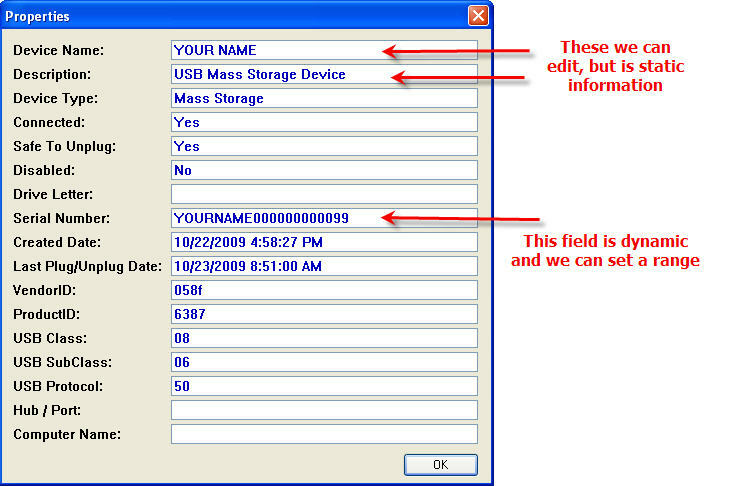 If the serial number of the USB drive is not recognized, the software will not authenticate or launch. USB drives must be programmed with serial number string at time of purchase. First 8 digits of the serial number are static and can include alphanumeric characters (ie. COMPANY1). Your software package needs to be integrated with the USBKey software. Media Supply can provide you with a white paper to review the software requirements you'll need as well as put you in touch with our USBKey developers for development support. Media Supply's USB copy protection services offer high capacity, high performance USB flash drives with enhanced functionality, such as USB copy protection and full digital rights management. Media Supply partners with Nexcopy, the industry experts on flash memory, to offer custom, copy protected USB flash drives offer unsurpassed levels of control and functionality. Unlike earlier, unsophisticated USB copy protection technology, Media Supply's USB copy protection works in both Mac and PC computer environments, ideal for anyone who needs true cross-platform support for copy protected files on USB. It is also important to note that Media Supply's USB copy protection is true copy protection, and not the simple encryption that some companies dubiously refer to as "copy protection." Encryption is useful for protecting sensitive information in the event your flash drive is lost or stolen, as it will deny access to a USB drive's content unless the user enters the correct password. Once the user enters the password, however, he or she will have free access to copy or delete any files on the drive. Additionally, encryption does not prevent a user from formatting the USB drive, which means the user can remove all your content and reuse the drive. Media Supply's USB copy protection is true copy protection that will not allow unauthorized duplication of your intellectual property. Our USB copy protection wraps the data into a specialized algorithm to scramble the data, then uses a customized viewer to decrypt it. The viewer requires specific hardware components to run, blocking the ability to copy and later access files. Furthermore, with Media Supply's USB copy protection service, you have the option of storing the drive's content on a read-only partition, which prevents the user from deleting files and formatting the drive. Want to bring Media Supply's copy protection technology in house? Check out our selection of Nexcopy flash drive duplicators and contact us for more information on equipment and USB flash drive pricing. Media Supply's USB copy protection technology is a true digital rights management tool. USB copy protection includes the ability to copy protect your software, Adobe PDF documents and a wide range of additional file formats (supported formats listed below). Advanced software configurations include various layers of protection, such as anti-copy, anti-rip, and password protection. For Adobe PDF documents, copy protection includes additional features, such as copy and paste restrictions and document printing rights. With Media Supply's USB copy protection solution, you have the option to split each USB drive into two partitions. The first partition contains the copy protected content and is write protected, so the files cannot be deleted from the drive. The second partition is left open as a read/write area, and behaves just like a normal flash drive. When you elect this option, the USB device uses two drive letters in the host operating system. When distributing files on USB flash drives, the best way to protect your intellectual property is with Media Supply's USB copy protection services. Request a quote online or call us at 1-800-944-4237, option 3, with your questions, for a custom quote or to place your order.